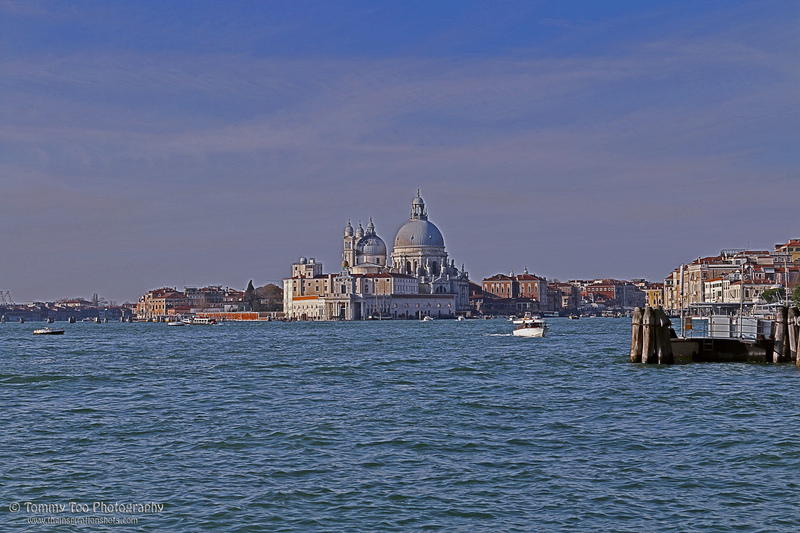 The Basilica di Santa Maria della Salute (Basilica of St. Mary of Health), commonly known simply as La Salute, is one of the largest churches of Venice and has the status of a minor basilica. 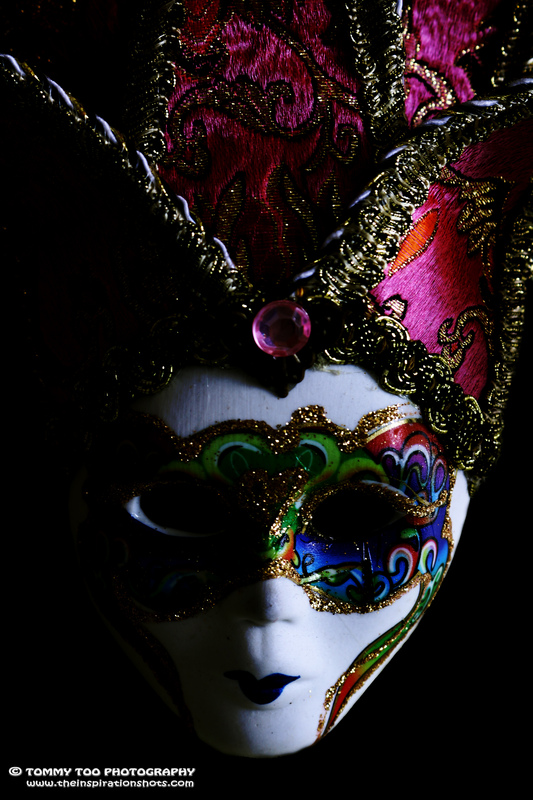 It stands in a prominent position at the junction between the Grand Canal and the Bacino di San Marco on the lagoon. In October 1630, the Venetian Senate decreed that if the city was delivered from the currently raging plaguethat had killed about a third of Venice’s population, then a new church would be built and dedicated to the Virgin Mary. The city was so delivered, and Baldassare Longhena, then only 26 years old, was selected to design the new church. It was consecrated in 1681, the year before Longhena’s death, and completed in 1687. The Salute is a vast, octagonal building built on a platform made of 100,000 wooden piles. It is constructed of Istrian stone and marmorino (brick covered with marble dust). The church is full of Marian symbolism – the great dome represents her crown, the cavernous interior her womb, the eight sides the eight points on her symbolic star. The Baroque high altar, designed by Longhena himself, bears a Byzantine Madonna and Child of the 12th or 13th century, brought from Crete by Francesco Morosini in 1670. Tintoretto contributed a painting of the Marriage at Cana in the great sacristy (Sacrestia Maggiore), which includes a self-portrait and is considered one of his best works. The most represented artist in La Salute is Titian, who painted St Mark Enthroned with SS Cosmas, Damian, Sebastian and Roch; the altarpiece of the sacristy; ceiling paintings of David and Goliath, Abraham and Isaac and Cain and Abel; eight tondi of the Doctors of the Church and the Evangelists; and Pentecost in the nave. The Campanile of San Giorgio dei Greci was built by Bernardo Ongarin between 1587 and 1592, following a project by Simone Sorella. The Bell Tower started tilting from the beginning of its construction. Its inclination can best be seen from the bridge over the rio dei Greci, close to the Ponte dei Sospiri (Bridge of Sighs). This photo was taken on one of the 416 bridges at Venice. 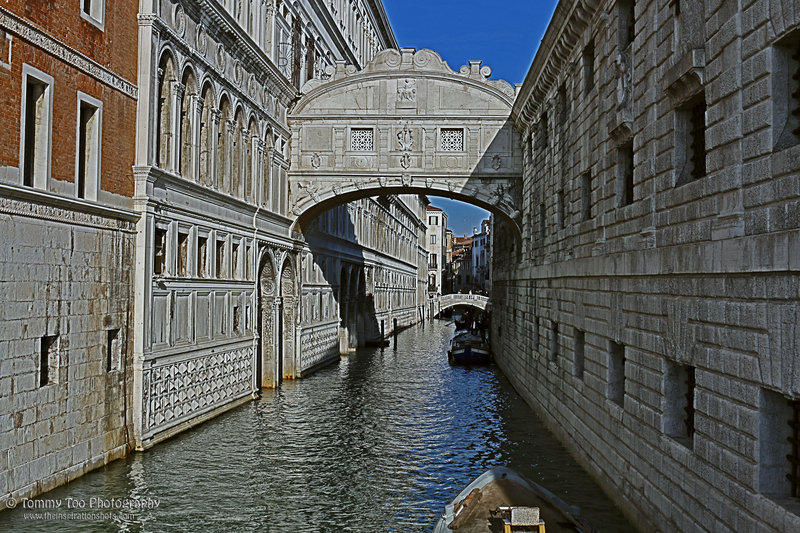 The Bridge of Sighs, known as the Ponte dei Sospiri in Italian, is one of the most famous bridges in all of Venice. The bridge connects the Doge’s Palace to the Prigioni, the prisons that were built across the canal in the late 16th century. 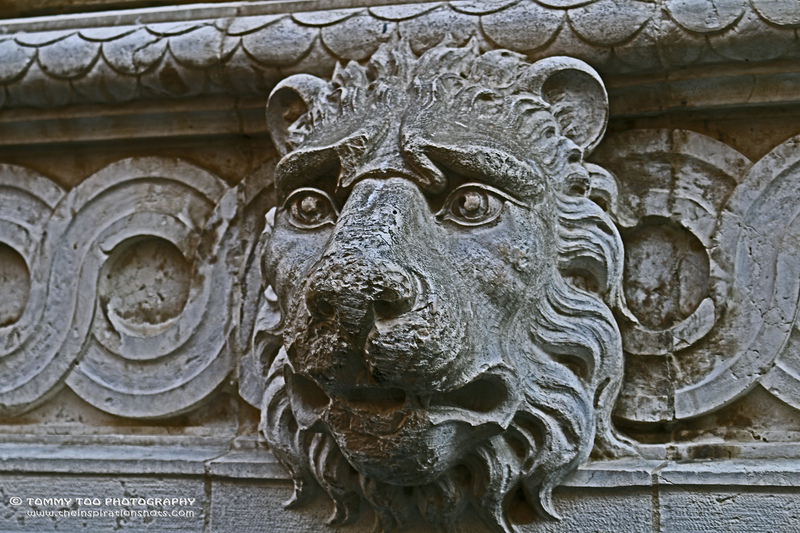 Antonio Contino designed and built the Bridge of Sighs in 1600. Though highly ornamental, built of fine, white limestone with lattice-like screens covering two small rectangular windows, the footbridge served a very practical purpose. It was used to lead prisoners from the examining rooms to their cells in the Prigioni. 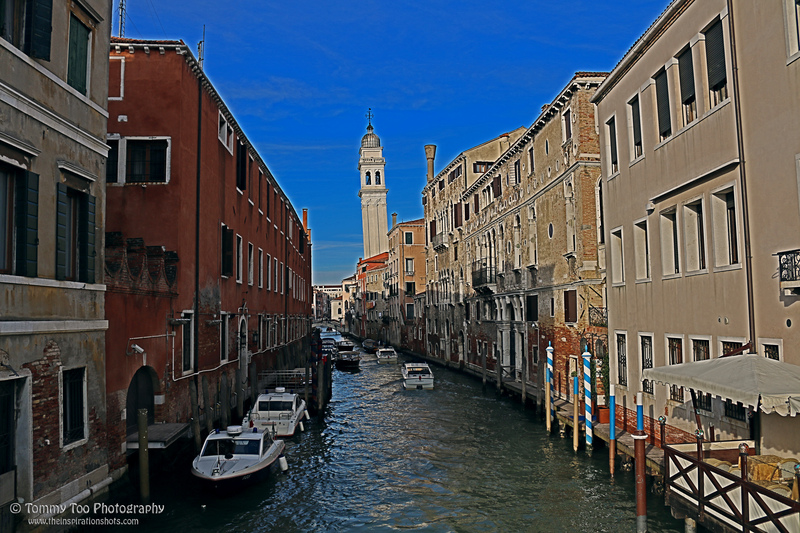 Legend has it that the bridge earned its name from the fact that prisoners who crossed through it, on the way to their prison cells or the execution chamber, would sigh as they caught their last glimpses of Venice through the tiny windows.